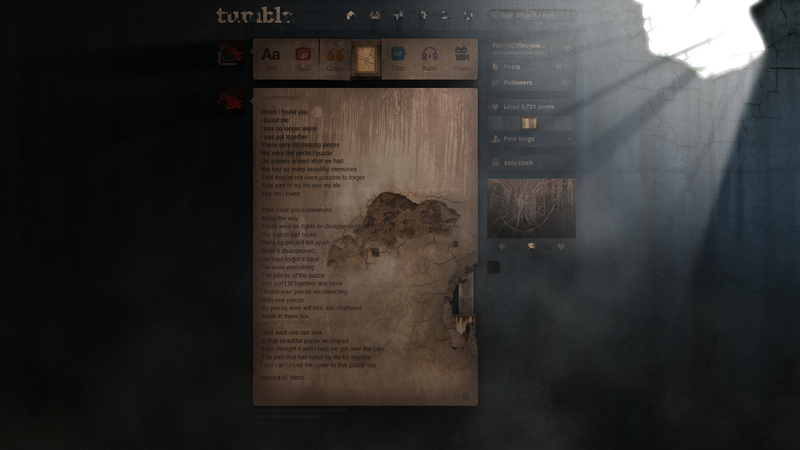 I love this artist's concept of Tumblr after the fall, so to speak. It's got a sad and spooky vibe to it. I'm trying to visualise what the equivalent would be for Facebook, Twitter, or just Google search.